Cruising has been something that was always appealing to us, so we were pretty excited when we were invited to a tour of the Celebrity Silhouette, a cruise ship by Celebrity Cruises. Celebrity Cruises was founded in 1989, determined to set a new worldwide standard for cruising. 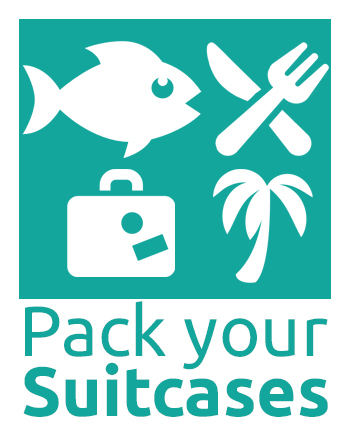 In 1997 they merged with Royal Caribbean International, which might be a name you are more familiar with. What differentiates Celebrity Cruises from other cruise companies, is that their goal is to provide guests with a modern and luxurious cruise. The ships are classic and elegant but updated to reflect current lifestyles, which can be found in the many facilities they have to offer. The Celebrity Silhouette joined their fleet in 2011 introducing several new venues including the Lawn Club Grill, the first outdoor and interactive barbecue grill experience at sea. The ship sails to the Caribbean and Europe. 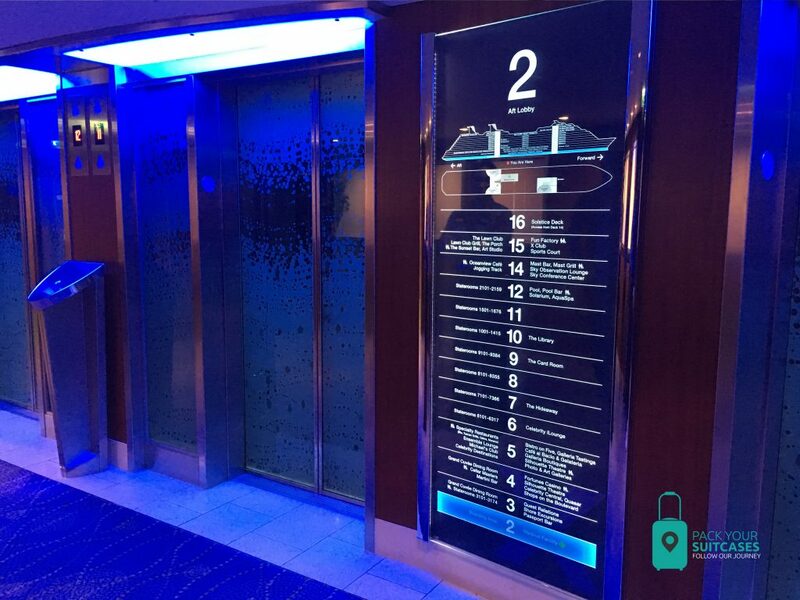 After passing airport style security, we were welcomed with a drink and got to see some of the amenities that distinguish the Celebrity Silhouette from other cruise ships. There are so many different style restaurants and we got to see a few of them. First of all, we went to the Oceanview Café, a 24-hour buffet at the top of the ship with different stations. 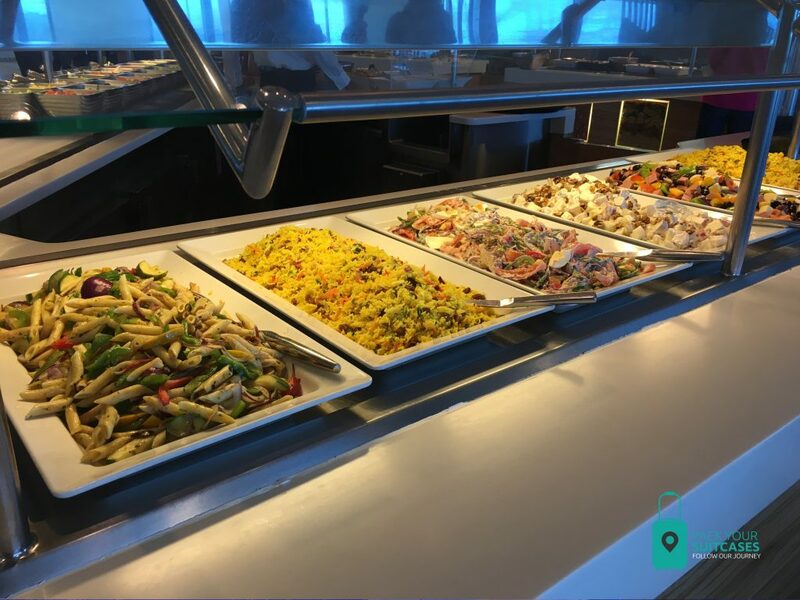 There is something for everyone at this restaurant, from pizza, pasta and salad bars, to an international station that changes their cuisine daily. If you’d rather sit outside, you can go to the Law Club Grill, the first outdoor and interactive grill venue on a cruise ship or The Porch which is great to enjoy ocean views. Both are located on the top deck of the ship. The Main restaurant (Grand Cuvee dining room) is massive and the centerpiece is a wine tower containing 1800 bottles of wine. The entire room looks very sophisticated and luxurious covered in various chandeliers. The Celebrity Silhouette also has a few specialty restaurants. 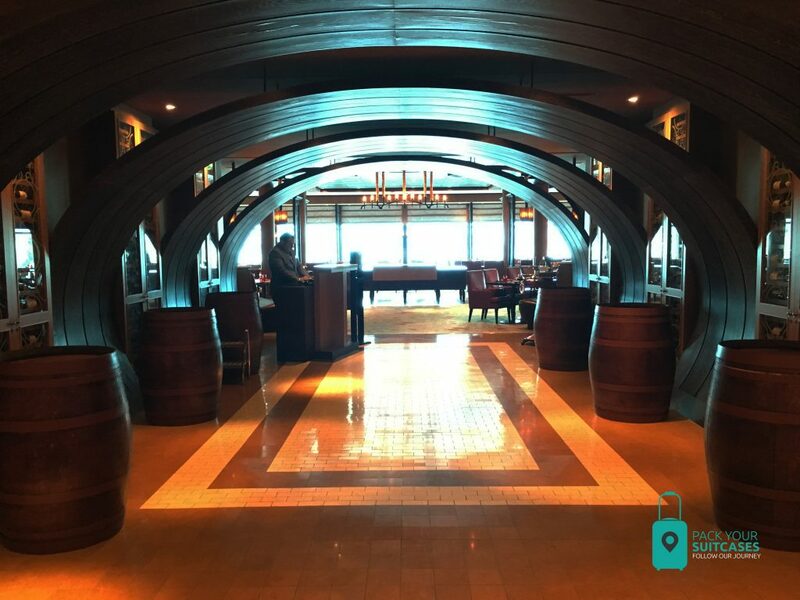 We visited the Tuscan Grill (offering rustic Tuscan dishes), Blu (exclusively for AquaClass guests, with a daily changing menu) and Qsine (where you can order small dishes on a tablet to share with your table). Restaurant Tuscan Grill at Celebrity Silhouette. Lastly we visited Murano, a restaurant that serves classic French cuisine with an unique contemporary twist. Here, we were surprised with a delicious afternoon tea where we could experience some of the delicious food this cruise ship has to offer. The Silhouette offers something for everyone, but all restaurants share the same high standard. 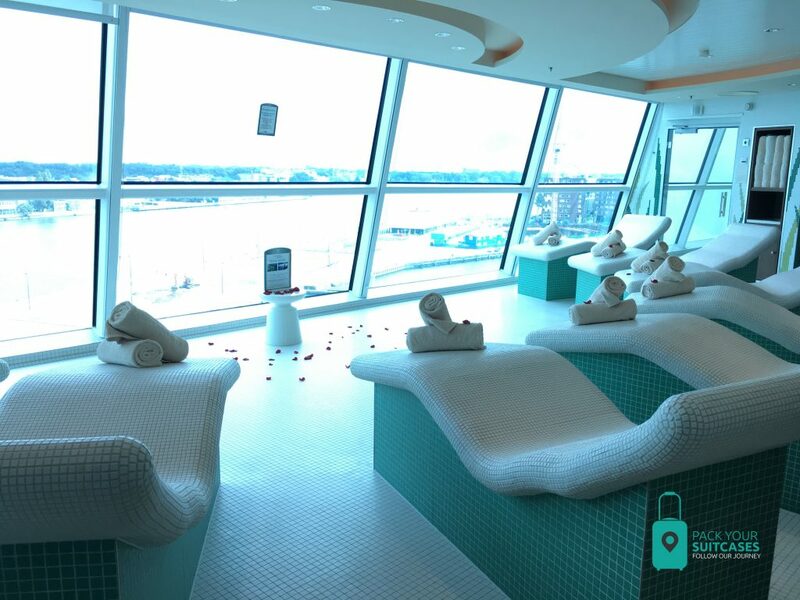 During our tour we got to see the a few rooms: the penthouse suite, royal suite and the Aquaclass suite (Aquaclass offers access to specialty restaurant Blu and extras for the Spa). There are so many different types of cabins on board of the Silhouette, but all were very modern and fully equipped. The more luxurious rooms even have a butler to attend to every need and a hottub on the balcony, how cool is that! The rooms range from a room with a separate bathroom to extensive suites with different rooms, a kitchen and even a walk-in closet. 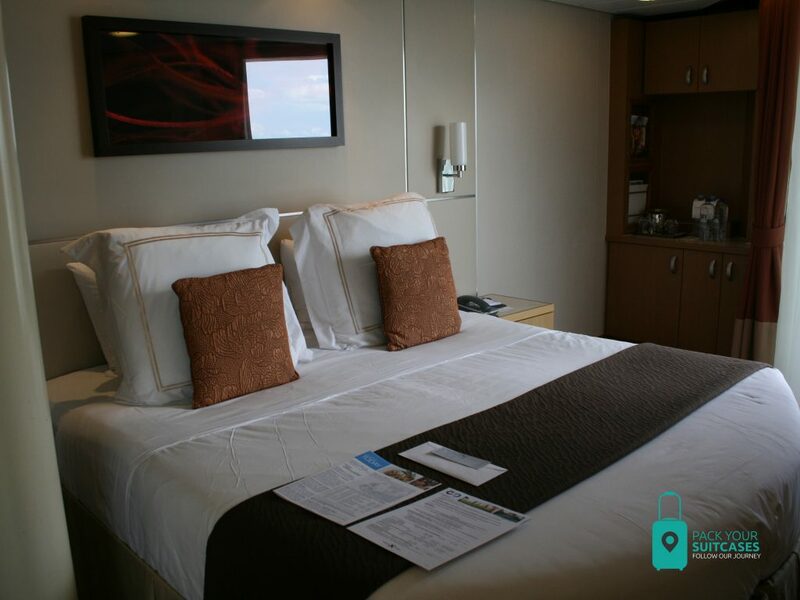 You can see more of the rooms in our YouTube video of the Celebrity Silhouette. Huge bathroom in Aquaclass suite. 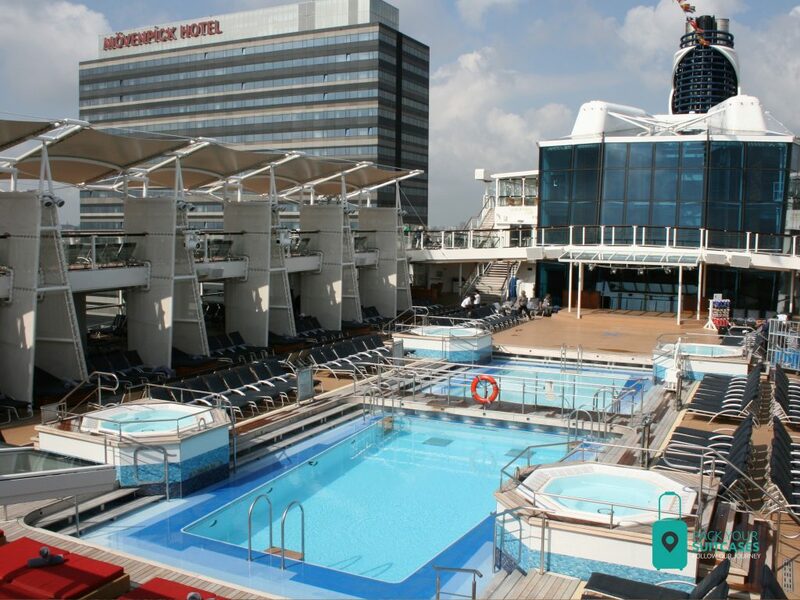 The ship has both an indoor and outdoor pool with plenty of sunbeds. There is also a huge Spa that we could take a look at. Here you can undergo different treatments and come out totally relaxed. Outdoor pool on the Celebrity Silhouette. If you want to stay in shape while travelling, you can visit the gym. The gym is huge and if a workout routine isn’t your thing, you can even sign up to do a group class like Zumba. If you are scared to go on a cruise because you think you will be bored on days when the ship travels, don’t be! Much to our surprise, there are also facilities to keep children of all ages entertained. The celebrity Silhouette has so many things to offer. First of all you can go see a movie at their movie theatre (called Celebrity Central). If shopping is more your thing you can shop tax and duty-free on the ship! There are various shops that offer jewelry, fashion, cosmetics and much more for different brands. 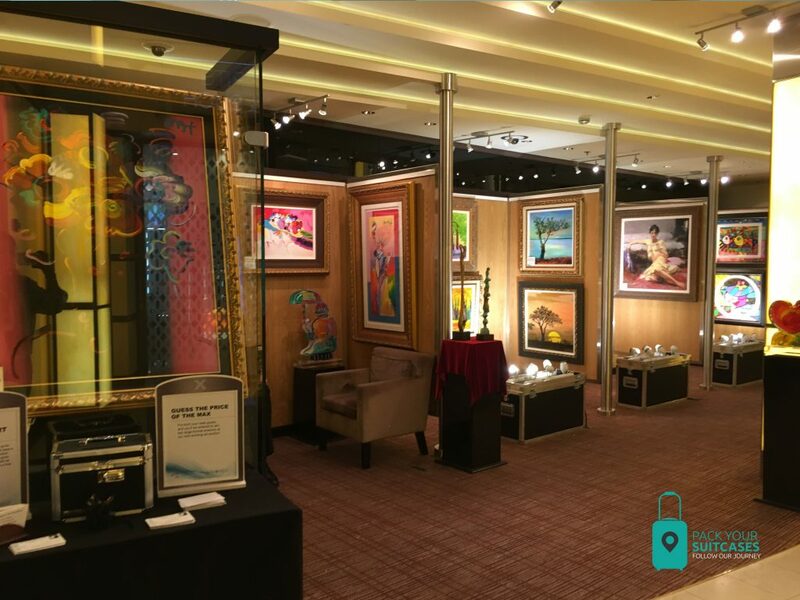 Art shops on the Celebrity Silhouette. If you are feeling lucky you can also visit the ship’s casino. And if none of this is your thing, you can always get a drink in one of the various bars the ship provides. From alcoholic drinks to coffee bars, there will be something that feeds your appetite. In the evenings you can be entertained at the Silhouette Theater where you are treated to various Silhouette exclusive shows. And If you don’t want the evening to end, there is also a nightclub where you can continue the party. As you can see, cruising isn’t for retired people anymore. It’s a new and modern branch in travelling which is attracting more and more younger people and even families with small children. All of the facilities make sure that there is something to do for any age group. Everything felt very luxurious to us and is designed to make guests feel pampered and relaxed. Just the thing you need on a vacation! We can’t wait to set sail on one of Celebrity’s ships.